The drone metal pioneers Earth have returned with new music. Since their forming in 1989 the band, led by Dylan Carlson, have released 8 albums. Dylan Carlson also released 3 albums with his latest work ‘Conquistador‘ back in 2018. Together with Kevin Martin from The Bug they released ‘Concrete Desert‘ in 2017. The first two tracks are out from their upcoming album ‘Full Upon Her Burning Lips ‘ wich will be released May 24 on Sargent House. Check out the new track ‘The Color of Poison’ here. 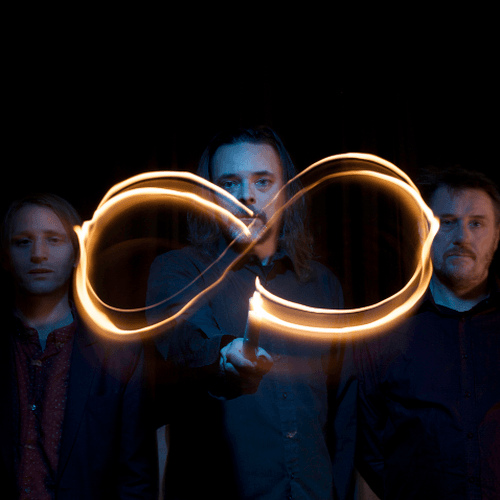 The London experimental trio The Infinite Three are getting ready to release their fifth studio album wich will be completely instrumental. This beast will be called ‘Ascension Zone’. The Infinite tree is made of ex-members of Cindytalk, God and Leisur Hive. With their background in noise, noiserock, dub, drone and metal they create their very own varied sound. Their new album ‘Ascension Zone’ is out 3rd May on Actual Size Music. The first released track with the same name as the album is a brilliant mix between drone, noise and soundscapes. A gorgeous first track wich makes me longing to here more from them. Tune in and now and play loud. Now they have shared the first new track from their upcoming album ‘Full Upon Her Burning Lips ‘ wich will be released May 24 on Sargent House. Check out the first track ‘Cats On the Briar’ here. The Pittsburgh band’s current lineup includes saxophone, drums, synth & samples(members of Triangle & Rhino & Fantasy Crime). Their music can range from free jazz to drone and electronics. Each release brings a refreshing new sound. This time Skeletonized released “Barf bag” wich focuses a bit more on drums and drone. The best way to listen to this ominous music is loud and on your headphones. Check their latest album and previous music out. From God Unknown Records comes again a great limited edition split. This time we can hear the noise rock band Arabrot from Haugesund, Norway and the Dutch experimental drone/psych Radar Men From The Moon. Order yourself the 7 inch now while they are still available. The LP comes out January 11. Listen to the cosmic drones by this great band. I recently did a list of great psychedelic bands from Australia. Ofcourse I don’t know all of them, so i was hoping people would help me out to make this the best list ever. And they did, I already got loads of tips, hints and links. And i wanted to give The Dunes some extra attention, because, am I happy to get to get to know their music! The band from Adelaide released their self titled album this October. The fuzz and the drones are so strong, so perfectly fitting together. That with the hazy songwriting and vocals. A magnificent album! The Dunes are ofcourse added to the list.